Bromelain is mixture of various enzymes that are found in stems and juice of pineapples. Also referred to as proteolytic enzyme, it aids the digestion of protein in the body. Some of the bromelain is absorbed directly by the body, therefore, it also has several effects on the body besides the digestive system. In fact, now bromelain is also marketed as a natural anti-inflammatory supplement for various types of arthritis. In the last few years, it has become as one of the best selling supplements for treating swelling and inflammation of the nose and sinuses due to injury or surgery. 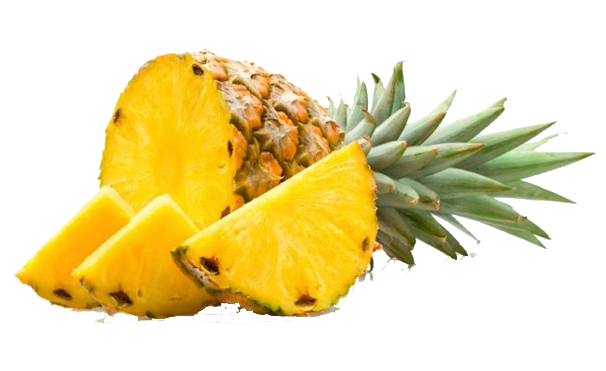 The bromelain extracts are obtained directly from the pineapples and are converted into tablets or capsules for sale. As it helps in the digestion of protein, you can even get bromelain in grocery stores, as many people use it as a meat tenderizer. In a topical form, bromelain is also available as creams that is applied on burns. When used as a digestive aid, bromelain is often taken with the meals. When used in inflammatory conditions, doctors mostly recommend bromelain between meals preferably on an empty stomach to increase absorption. Sinusitis-Doctors recommend bromelain as a complementary treatment for sinusitis. 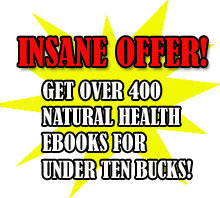 Many studies have suggested that it improves breathing, reduces congestion, and also suppresses coughing. In Germany, it has been duly approved by Commission E for complimentary treatment for sinus and nasal swelling, and inflammation of nose, throat and ears. In Injury or surgery-Many studies have revealed that bromelain supplements can reduce bruising, swelling, pain and inflammation after injury or surgery. Digestion-Bromelain is a very popular digestive aid because of its ability to aid digestion of proteins. It is widely used for gas, bloating, and various other digestive symptoms and for conditions such as irritable bowel syndrome. Mostly, it is used alone or with some enzymes like amylase, that digests starch, and lipase, that digests fats. However, research is still on regarding the efficacy of the bormelain in helping with digestion. Cancer-Bromelain and various other proteolytic enzymes are being explored for treating cancer. Though some preliminary research has been done, but still there isn’t sufficient evidence at his time about the effectiveness and safety of bromelain for treating cancer. Osteoarthritis-Bromelain is helpful in treating mild pain due to osteoarthritis. It is mostly used in various nutritional supplements that are marketed as natural remedy for arthritis pain. The most common side effects of bromelain include diarrhea, indigestion, and nausea. Some people may experience increased heart rate, vomiting, abnormal uterine bleeding, drowsiness, heavy menstruation, and light abdominal pain. Consumption of bromelain has also resulted in asthma symptoms, allergic reactions, breathing problems, skin hives, itchy skin, rashes and tightness of throat. All those who have allergiy to pineapple should avoid bromelain as it can aggravate their condition. Allergic reactions are also possible in people with allergies to rye, fennel, celery, latex, wheat, cypress pollens, papain, bee venom or grass. All those who are suffering from peptic ulcers should avoid bromelain. People suffering from digestive disorders should consult a healthcare provider before taking bromelain. The effects of bromelain on pregnant/nursing women are not known, therefore they should take it only under medical supervision. All those who take blood thinners (anti-platelet or anticoagulant medications), such as Warfarin (Coumadin), Aspirin, Clopidogreal, anti-inflammatory medications such as naproxen, or ibuprofen should use bromelain only under medical supervision. All those who take supplements and herbs that increase the risk of bleeding, such as garlic and ginkgo biloba should also take bromelain after consultation with doctor. Bromelain should not be given to children as there are no conclusive studies indicating whether it is safe or not for them. Adults: In most of the cases, 75-300mg three to four times a day. Under certain conditions, even higher doses of bromelain can also be prescribed. As supplements can have side effects or may even interact with various medications, you should preferably seek an advise of your doctor. Mostly, bromelain is recommended for no longer than 7 – 8 days in a row.